known as Padoa's inequality after Alessandro Padoa (1868-1937). Dorin Marghidanu came up with an interesting refinement of the inequality. 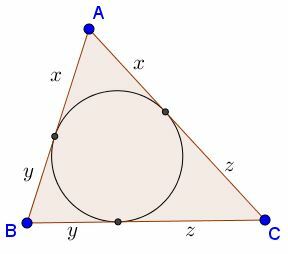 If $b+c-a\gt 0,$ then also $c+a-b\gt 0$ and $a+b-c\gt 0,$ meaning that $a,b,c$ form a triangle and reducing the problem to the case already discussed.